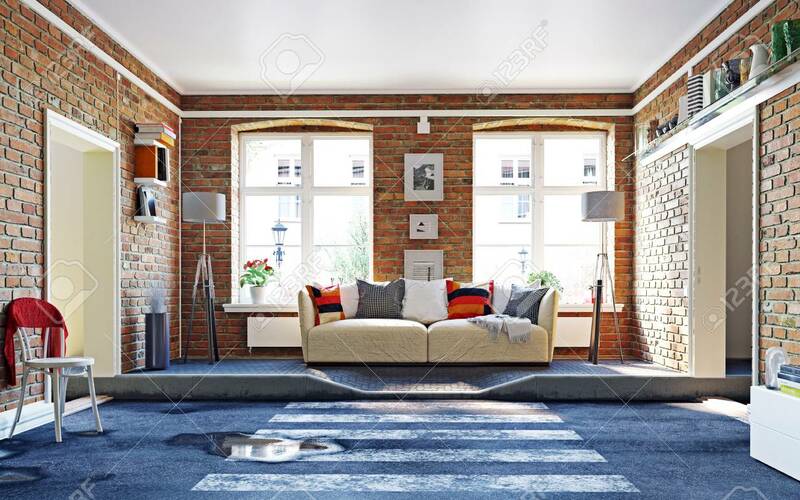 The Asphalt Road Cross The Living Room. 3d Rendering Creative Concept Lizenzfreie Fotos, Bilder Und Stock Fotografie. Image 118191370.